Connects easily with other APIs such as Demandbase and Google Analytics. 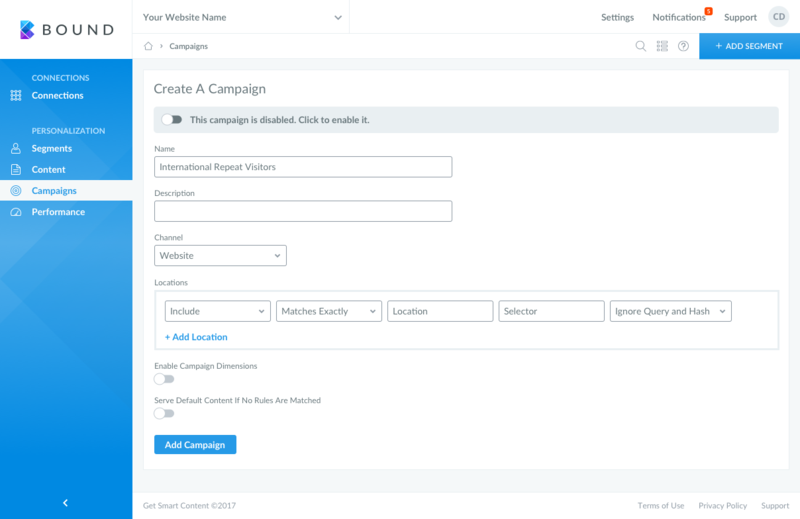 When you set up a campaign you should be able to set up content while in the campaign. You should be able to set up new segments while in the campaign. We have seen more traffic going to revenue generating sites after using Get Smart Content. I'm not sure of the dollar amount since that's a separate department, but traffic increasing is great. Engagement on our internal site has increased after implementing Get Smart Content. We are getting more views, comments and likes on our content than before.